This is the online appendix to my first book, Japan’s Contested War Memories (Routledge, Hardback 2007, Paperback 2010). It provides supplementary resources and evidence for the arguments I make in the book. The main thesis is that, contrary to the impression of “a Japan unable to discuss or address the past” that is created by a focus on controversial war nationalism in English-language media, war memories are highly contested in contemporary Japan. In the years since the publication of the book, a considerable literature has emerged on this issue and a number of issues have changed/developed quite significantly. Many of these changes are addressed in later my papers and publications since 2007. Drawing on war memory, media and cultural theory, and based on the evidence of opinion poll data about war issues in Japan, the chapter presents a detailed hypothesis concerning the nature of Japanese war memories and the reasons for their contested nature. Main collectors of opinion poll data are the media organizations. Particularly important is NHK, which has a research unit. Also important is the Cabinet Office, whose website contains much poll data. However, specifically war-related opinion poll data is often hard to find: individual polls are mixed in with (and heavily outnumbered by) other poll data. The chapter traces the development of Japanese war memories over the ‘long postwar’, 1945-2005. Four distinct phases are identified: occupation (to 1952), Cold War conservatism and Japan’s return to the international community (to 1972), growing acknowledgement of an aggressive war (to 1993), and Japan’s contested war memories in the Heisei Era (since 1993). This chapter highlights how some issues that need to be kept distinct – particularly memories vs. responsibility and public remembering vs. government policy – are often fudged in discussion of how Japan ‘addresses the past’. The chapter demonstrates the extent of international complicity in Japanese struggles with war history and responsibility issues, and critiques the various international comparisons that have been made in the context of Japanese war memories, particularly with German memories and responsibility. The Japanese government’s various websites contain numerous official documents in English. This list of frequently asked questions answers many of the key questions regarding the government’s stance. For more detailed statements visit the following sites: Ministry of Foreign Affairs (see especially the various links under ‘Topics’), Ministry of Education, and the Prime Minister’s Official Site. 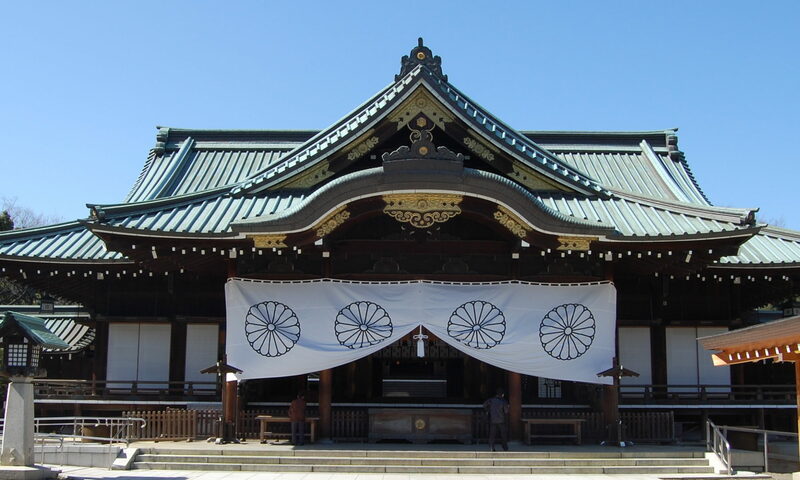 One of the most controversial aspects of official commemoration concerns worship by officials at Yasukuni Shrine. This chapter takes the major war-related media issues during the postwar (as listed in general chronologies of Japanese history) and illustrates the diversity of stances concerning these issues in Japan’s national press. The reporting of the textbook, Yasukuni, apology and repatriation issues (among others) in the Yomiuri, Asahi, Mainichi, Nikkei and Sankei newspapers is compared. For basic newspaper industry data, see The Japan Newspapers Publishers and Editors Association webpage and industry data on the website of the Yomiuri Shinbun. There is also a newspaper museum in Yokohama called Newspark. Newspaper circulations are given for 2005. Comments refer to the conclusions made in the book about the period under study (up to 2005). There may have been changes since then. Asahi Shinbun (8.22 million): Progressive: campaigner for conscientious historical views. A large publisher of war-related articles. Mainichi Shinbun (3.96 million): Progressive(-leaning): but not so active in Asahi-style campaigns. Nikkei Shinbun (3.02 million): Business paper with low war history interest: slightly more progressive than the LDP government. Sankei Shinbun (2.16 million): Nationalistic: critical of the LDP government from the right wing. Early August is the key period of war commemoration in Japan. The anniversaries of the Hiroshima and Nagasaki attacks and the war end anniversary (6, 9 and 15 August respectively) generate much media attention. The way in which Japanese television covers war issues in August is analyzed for the period 1991-2005. Details of what Japanese people watch can be found at Video Research Ltd, an online viewing figures service. Online TV listings and guides can be found at Za Terebijon and Internet TV Guide (which has listings the same as the daily newspapers). Japan has two excellent public-access television archives, The Broadcast Library in Yokohama and NHK Archives in Saitama. However, these are mainly for documentaries and drama/entertainment specials and are nowhere near comprehensive. Japan has a highly respected public broadcaster, NHK (often called “the Japanese BBC”). The current system of NHK plus five commercial networks (Nippon Television, TBS, Fuji Television, TV Asahi, TV Tokyo), each one affiliated to one of the national quality newspapers (see chapter 4), had stabilized by 1969. This chapter looks at the historical focus and methodological approaches of historians from across the ideological spectrum. It also discusses history education in relation to both government-approved textbooks and other educational materials (such as educational manga) aimed at children. For general industry data, see Magazine Data. The publishing industry, like television, is notorious for the fast pace of change. After the publication of Japan’s Contested War Memories, two of the featured magazines, Ronza and Shokun! were discontinued. This chapter discusses the narrative conventions within Japanese war cinema and television dramas, and it also considers the impact of fantasy or counterfactual stories in ‘simulation fiction’ (novels and manga in which Japan wins the war). The two major studios are Toho and Toei. There is also a flourishing independent cinema scene. Most films nowadays have their own promotional webpages. There are some key movie databases that provide full details of the cast and production teams as well as synopses. These include: Movie Walker Database and goo.com. One of the main publishers of simulation fiction is Jitsugyo no Nihon-sha in its Joy Novels series. A major publisher of simulation manga is Nihon Shuppansha in its Bomb Comics series. Japan has seen something of a war museum boom, or more accurately ‘peace museum’ boom, since the 1980s. Museums generally represent a particular local or sectional interest (either a regional experience such as an air raid or a specific experience such as repatriation or the kamikaze). Many museums are called ‘memorials’ (kinenkan) or ‘resource centres’ (shiryokan) rather than ‘museum’ (hakubutsukan, which is a legal status in Japan subject to the museum fulfilling various government-set criteria). Below is a selection of some of the key museums, including all those mentioned in the book. They are listed in alphabetical order. Chiran Kamikaze Museum: Memorial to kamikaze. Edo-Tokyo Museum: Tokyo air raids. Fukuyama Peace Museum: Regional peace museum. Himeji Peace Museum: Regional peace museum. Himeyuri Peace Museum: Women’s nursing corps, Okinawa. Hiroshima A-bomb museum: Japan’s most visited war museum. Historical Museum of Hokkaido: Significant war exhibits. Japan Peace Museum: An online museum. Kawasaki Peace Museum: Local air raids and Japanese aggression. Kyoto Museum for World Peace: At Ritsumeikan University. Library for Peace and Consolation: Siberian internees etc. Maizuru Repatriation Museum: nr. Kyoto, port for repatriates. Nagasaki A-bomb museum: Gives background to the bombs too. Nasu War Museum: Nationalistic, military memorabilia. National Museum of Japanese History: War exhibits added since the publication of JCWM. Niigata Prefectural History Museum: incl. forced labourer exhibits. Oka Masaharu Memorial Museum: In Nagasaki, very progressive. Okinawa Prefectual Museum: The Battle of Okinawa. Ookunoshima Poison Gas Factory Museum: Near Hiroshima. Peace Osaka: Formerly progressive, now conservative local war museum. Saitama Peace Museum: Regional peace museum. Sendai War Recovery Museum: Air raids. Shizuoka Peace Museum: Regional peace museum. Showakan: Run by the War Bereaved Association. Yushukan: Nationalistic military museum in the grounds of Yasukuni Shrine. The chapter provides an overview of testimonial activities in Japan and assesses the impact of war guilt on how the war can be discussed in the family. The motivations of those who become activists on war related issues are also discussed. The most prominent Western activist group on Japanese war issues is the Global Alliance for Preserving the History of WWII in Asia. A number of errors and typos crept into the book. Some are simply typographical bloopers with no effect on content, others are places where it could have been worded better, and there are 5-6 which are errors of detail. Fortunately, none of the errors of detail have any significant effect on the arguments. These are all the book reviews of Japan’s Contested War Memories in published media and scholarly publications of which I am aware. Of course, some reviewers have criticized aspects of the book (particularly Wakabayashi and Astley) and readers are encouraged to read the reviews in their entirety, but I have chosen the sentences that contained the reviewer’s overall evaluation. “Philip A. Seaton, an associate professor of media and communications at Hokkaido University, is to be congratulated for producing a highly readable and well-organized monograph, commendable both for its message and its method. His book is of huge value for disabusing foreign, largely nonacademic, commentators of a widely shared and derisive myth: “the Japanese” suffer from historical amnesia except when wallowing in the self-pity of victim consciousness. They do not know or care about their imperialist war of aggression in the Asia-Pacific and thus compare unfavorably with “the Germans,” who are exemplary for coming to terms with their past through remembrance, apologies, and compensation for victims. Japan’s Contested War Memories complements recent studies by Takashi Yoshida, Franziska Seraphim, Ming Wan, Alexis Dudden, and others who convey a similar message. Together, they offer a sorely needed corrective that foreign writers on current-day Japan and members of the news media—even at the estimable BBC, in Seaton’s view—should take to heart.” Bob Tadashi Wakabayashi, The Journal of Japanese Studies 35.1 (2009), pp. 181-4. “Seaton’s superb book on ‘Japan’s contested memories’ … Seaton focuses on a very impressive set of memory sites … excellent analysis … Seaton’s contribution to the field of ‘Japan Studies’ is squarely based within of (sic) media and cultural studies. These studies have provided one of the main frames for the growth of memory as an academic preoccupation. With their focus on public fields of representation and their interdisciplinary base, media and cultural studies have enhanced and expanded our perceptions of the past. It is within this broad multi- and interdisciplinary field, in Japan as elsewhere, that elements of the past and of memory have emerged as central issues. Seaton’s impressive volume shows us the way in which such studies may further our understanding of Japan.” Eyal Ben-Ari, Social Science Japan Journal 11.1 (2008), pp. 143-6. “As the first systematic survey of the Japanese (and to an extent also the international) media’s role in Japan’s struggle with war memory, it certainly offers a refreshing and highly welcome contribution to the comparative memory literature.” Franziska Seraphim, Japan Forum 20.1 (2008), pp. 135-7. “[T]his book is a fine addition to our library of ever more nuanced works on modern Japan, taking as it does a distinct perspective on issues which will surely not leave television screens, newspapers and other media for quite some time.” Ian Astley, The International Journal of Asian Studies 5.1 (2008), pp. 157-9. “Stereotypical images of Japanese collectively in denial about the atrocities committed by the Imperial armed forces are grossly misleading and overlook the more prevalent view accepting wartime guilt and favoring atonement. In this excellent study featuring media and cultural analysis, Hokkaido University’s Philip Seaton persuasively argues that, ‘Japanese war memories are not nearly as nationalistic as they are frequently made out to be. '” Jeff Kingston, The Japan Times 5 August 2007. Available online.